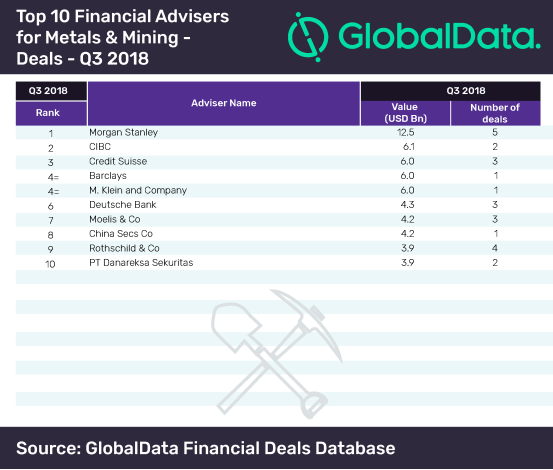 Morgan Stanley has topped the latest M&A league table of the top 10 financial advisers for the Metals & Mining industry for Q3 2018, compiled by GlobalData, a leading data analytics company. The US-based financial services group led the competition by deal value, with five deals worth $12.5bn, including the industry’s highest value deal – Barrick Gold’s proposed acquisition of Randgold Resources for $6bn. According to GlobalData, which uses its tracking of all merger and acquisition, private equity/venture capital and asset transaction activity around the world to compile the league table, CIBC stood at the second position with two transactions worth $6.1bn, followed by Credit Suisse with three deals valued at $6bn. Barclays and M. Klein and Company shared the fourth place by advising on Barrick Gold-Randgold deal in common. The Metals & Mining sector saw a number of high-value deals during the third quarter of 2018 when compared to the corresponding quarter previous year. The overall value surged significantly by 272.5% to $36.88bn in Q3 2018 from $9.9bn in Q3 2017. On the contrary, volumes decreased by 10.9% from 346 to 308 during the review period. 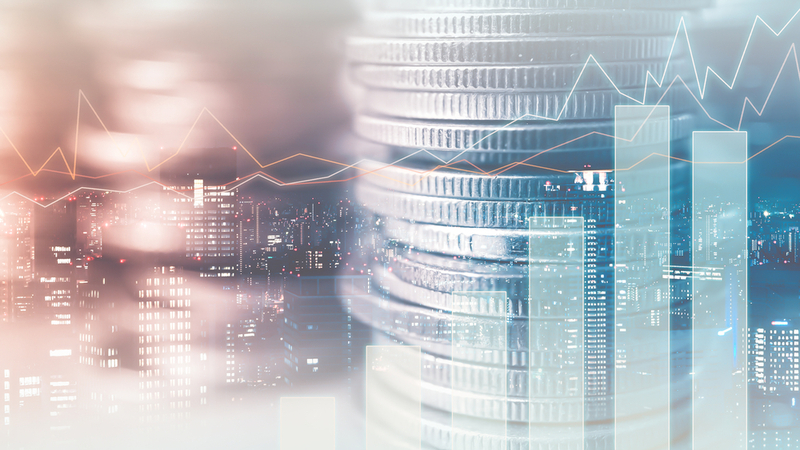 With 65 deals valued at $153.3bn, Morgan Stanley stood fourth in the global league table of top 20 M&A financial advisers released by GlobalData recently. The Metals & Mining league table’s fourth-ranked Barclays stood second in the global rankings. Canada-based Stikeman Elliott topped the list of the top 10 legal advisers by value. 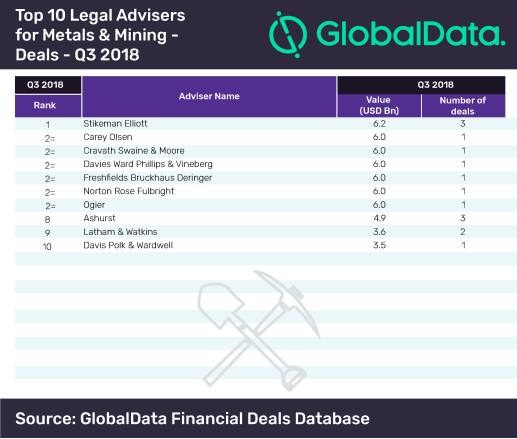 All the top seven law firms in the league table were associated with the Barrick Gold-Randgold deal during the quarter. Despite equaling Stikeman Elliot in volumes, Ashurst settled at the eighth position due to low-value deals.